Peat (/piːt/), also known as turf (/tɜːrf/), is an accumulation of partially decayed vegetation or organic matter. It is unique to natural areas called peatlands, bogs, mires, moors, or muskegs. The peatland ecosystem is the most efficient carbon sink on the planet, because peatland plants capture CO2 naturally released from the peat, maintaining an equilibrium. In natural peatlands, the “annual rate of biomass production is greater than the rate of decomposition”, but it takes “thousands of years for peatlands to develop the deposits of 1.5 to 2.3 m [4.9 to 7.5 ft], which is the average depth of the boreal [northern] peatlands”. Sphagnum moss, also called peat moss, is one of the most common components in peat, although many other plants can contribute. The biological features of Sphagnum mosses act to create a habitat aiding peat formation, a phenomenon termed ‘habitat manipulation’. Soils consisting primarily of peat are known as histosols. Peat forms in wetland conditions, where flooding or stagnant water obstructs the flow of oxygen from the atmosphere, slowing the rate of decomposition. although less-common wetlands including fens, pocosins, and peat swamp forests also deposit peat. Landscapes covered in peat are home to specific kinds of plants including Sphagnum moss, ericaceous shrubs, and sedges (see bog for more information on this aspect of peat). Because organic matter accumulates over thousands of years, peat deposits provide records of past vegetation and climate by preserving plant remains, such as pollen. This allows the reconstruction of past environments and study changes in land use. Depending on the agency, peat is not generally regarded as a renewable source of energy, due to its extraction rate in industrialized countries far exceeding its slow regrowth rate of 1 mm per year, and as it is also reported that peat regrowth takes place only in 30-40% of peatlands. Because of this, the UNFCCC, and another organization affiliated with the United Nations classified peat as a fossil fuel. However, the Intergovernmental Panel on Climate Change (IPCC) has begun to classify peat as a “slowly renewable” fuel. This is also the classification used by many in the peat industry. At 106 g CO2/MJ, the carbon dioxide emission intensity of peat is higher than that of coal (at 94.6 g CO2/MJ) and natural gas (at 56.1) (IPCC). …the most widespread of all wetland types in the world, representing 50 to 70% of global wetlands. They cover over 4 million square kilometres [1.5 million square miles] or 3% of the land and freshwater surface of the planet. In these ecosystems are found one third of the world’s soil carbon and 10% of global freshwater resources. These ecosystems are characterized by the unique ability to accumulate and store dead organic matter from Sphagnum and many other non-moss species, as peat, under conditions of almost permanent water saturation. Peatlands are adapted to the extreme conditions of high water and low oxygen content, of toxic elements and low availability of plant nutrients. Their water chemistry varies from alkaline to acidic. Peatlands occur on all continents, from the tropical to boreal and Arctic zones from sea level to high alpine conditions. Peatlands are areas of land with naturally formed layers of peat. They can be found in at least 175 countries and cover around 4 million square kilometres (1.5 million square miles); that is 3% of the world’s land area. In Europe, peatlands extend to about 515,000 km2 (199,000 sq mi). About 60% of the world’s wetlands are made of peat. Peat deposits are found in many places around the world, including northern Europe and North America. The North American peat deposits are principally found in Canada and the Northern United States. Some of the world’s largest peatlands include the West Siberian Lowland, the Hudson Bay Lowlands, and the Mackenzie River Valley. There is less peat in the Southern Hemisphere, in part because there is less land. That said, the vast Magellanic Moorland in South America (Southern Patagonia/Tierra del Fuego) is an extensive peat-dominated landscape. Peat can be found in New Zealand, Kerguelen, the Falkland Islands, and Indonesia (Kalimantan [Sungai Putri, Danau Siawan, Sungai Tolak], Rasau Jaya [West Kalimantan], and Sumatra). Indonesia has more tropical peatlands and mangrove forests than any other nation on earth, but Indonesia is losing wetlands by 100,000 hectares (250,000 acres) per year. The climate, geography, and environment of Finland favours bog and peat bog formation. Thus, peat is available in considerable quantities. This abundant resource (often mixed with wood at an average of 2.6%) is burned to produce heat and electricity. Peat provides around 6.2% of Finland’s annual energy production, second only to Ireland. The contribution of peat to greenhouse gas emissions of Finland can exceed 10 million metric tonnes of carbon dioxide per year – equal to the total emissions of all passenger-car traffic in Finland. Industrial-milled peat production in a section of the Bog of Allen in the Irish Midlands: The ‘turf’ in the foreground is machine-produced for domestic use. Use of peat for energy production was prominent in the Soviet Union, especially in 1965. In 1929, over 40% of the Soviet Union’s electric energy came from peat, which dropped to 1% by 1980. In the 1960s, larger sections of swamps and bogs in Western Russia were drained for agricultural and mining purposes. Plans are underway to increase peat output and increase peat’s contribution to Russian energy generation. There is concern about the environmental impact as peat fields are flammable, drainage degrades ecosystems, and burning of peat releases carbon dioxide. Due to 2010 forest and peat fires, the Russian government is under heavy pressure to finance re-flooding of the previously drained bogs around Moscow. The initial costs for the programme are estimated to be about 20 to 25 billion rubles; that is close to 500 million euros (540 million USD). Currently, Russia is responsible for 17% of the world’s peat production and 20% of that peat (1.5 million tons) is used for energy purposes. Shatura Power Station in Moscow Oblast and Kirov Power Station in Kirov Oblast are the two largest peat power stations in the world. Fenn’s, Whixall and Bettisfield Mosses is an element of a post-Ice Age peat bog that straddles the England–Wales border and contains many rare plant and animal species due to the acidic environment created by the peat. Only lightly hand-dug, it is now a national nature reserve and is being restored to its natural condition. Some Scotch whisky distilleries, such as those on Islay, use peat fires to dry malted barley. The drying process takes about 30 hours. This gives the whiskies a distinctive smoky flavour, often called “peatiness”. The peatiness, or degree of peat flavour, of a whisky, is calculated in ppm of phenol. Normal Highland whiskies have a peat level of up to 30 ppm, and the whiskies on Islay usually have up to 50 ppm. In rare types like the Octomore, the whisky can have more than 100 ppm of phenol. Scotch Ales can also use peat roasted malt, imparting a similar smoked flavor. Peat “hags” are a form of erosion that occurs at the sides of gullies that cut into the peat or, sometimes, in isolation. 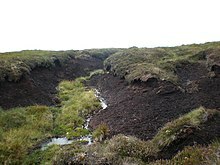 Hags may result when flowing water cuts downwards into the peat and when fire or overgrazing exposes the peat surface. Once the peat is exposed in these ways, it is prone to further erosion by wind, water, and livestock. The result is overhanging vegetation and peat. Hags are too steep and unstable for vegetation to establish itself, so they continue to erode unless restorative action is taken. The world’s largest peat bog is located in Western Siberia. It is the size of France and Germany combined. Recent studies show that it is thawing for the first time in 11,000 years. As the permafrost melts, it could release billions of tonnes of methane gas into the atmosphere. The world’s peatlands are thought to contain 180 to 455 billion metric tonnes of sequestered carbon, and they release into the atmosphere 20 to 45 million metric tons of methane annually. The peatlands’ contribution to long-term fluctuations in these atmospheric gases has been a matter of considerable debate. It is estimated that in 1997, peat and forest fires in Indonesia released between 0.81 and 2.57 Gt of carbon; equivalent to 13–40 percent of the amount released by global fossil fuel burning, and greater than the carbon uptake of the world’s biosphere. These fires may be responsible for the acceleration in the increase in carbon dioxide levels since 1998. More than 100 peat fires in Kalimantan and East Sumatra have continued to burn since 1997; each year, these peat fires ignite new forest fires above the ground. In November 2002, the International Peatland (formerly Peat) Society (IPS) and the International Mire Conservation Group (IMCG) published guidelines on the “Wise Use of Mires and Peatlands – Backgrounds and Principles including a framework for decision-making”. The aim of this publication is to develop mechanisms that can balance the conflicting demands on the global peatland heritage, to ensure its wise use to meet the needs of humankind. In June 2008, the IPS published the book Peatlands and Climate Change, summarising the currently available knowledge on the topic. In 2010, IPS presented a “Strategy for Responsible Peatland Management”, which can be applied worldwide for decision-making. ^ a b Gorham, E (1957). “The development of peatlands”. Quarterly Review of Biology. 32: 145–66. doi:10.1086/401755. ^ World Energy Council (2007). “Survey of Energy Resources 2007” (PDF). Archived from the original (PDF) on 2008-09-10. Retrieved 2008-08-11. ^ “Is coal still being formed today?”. Retrieved 25 October 2015. ^ http://www.un-documents.net/ocf-07.htm Today’s primary sources of energy are mainly non-renewable: natural gas, oil, coal, peat, and conventional nuclear power. There are also renewable sources, including wood, plants, dung, falling water, geothermal sources, solar, tidal, wind, and wave energy, as well as human and animal muscle-power. Nuclear reactors that produce their own fuel (“breeders”) and eventually fusion reactors are also in this category. ^ “5. CLASSIFICATION”. www.fao.org. Retrieved 2017-03-28. ^ “Waspada Online”. Waspada Online. Retrieved 25 October 2015. ^ “World Energy Resources: Peat – World Energy Council 2013” (PDF). Volcano Wood Fuels. World Energy Council. Retrieved 2016-02-25. ^ “Suoseura – Finnish Peatland Society”. Archived from the original on 4 March 2016. Retrieved 25 October 2015. ^ Serghey Stelmakovich. “Russia institutes peat fire prevention program”. Archived from the original on June 18, 2010. Retrieved August 9, 2010. ^ a b MacDermott M (September 9, 2009). “Russia plans mining peat environmental disaster”. Retrieved August 9, 2010. ^ “2007 Survey of Energy Resources” (PDF). World Energy Council 2007. 2007. Archived from the original (PDF) on 2011-04-09. Retrieved 2011-01-23. ^ “Peat: Useful Resource or Hazard?”. Russian Geographical Society. August 10, 2010. Retrieved 2011-01-29. ^ Joosten, Hans; Tanneberger, Franziska; Moen, Asbjørn. 2017. Mires and peatlands of Europe. Schweizerbart Science Publishers, Stuttgart, Germany. 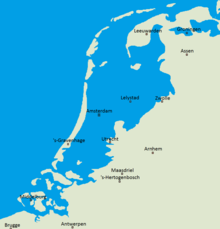 780 p. Chapter “Netherlands”. ^ Schiermeier, Quirin (5 July 2010). “Few fishy facts found in climate report”. Nature. 466 (170): 170. doi:10.1038/466170a. PMID 20613812. ^ “Milieurekeningen 2008” (PDF). Centraal Bureau voor de Statistiek. Retrieved 4 February 2010. ^ “Somerset Peat Paper – Issues consultation for the Minerals Core Strategy” (PDF). Somerset County Council. September 2009. p. 7. Archived from the original (PDF) on 10 March 2012. Retrieved 30 November 2011. ^ “Peatlands Park ASSI”. NI Environment Agency. Retrieved 14 August 2010. ^ “Peat and Its Significance in Whisky”. Retrieved 25 October 2015. ^ “Octomore 5 Years 03.1”. Retrieved 25 October 2015. ^ “Peat-free compost at Kew”. RBG Kew. 2011. Archived from the original on 2011-09-16. Retrieved 2011-06-24. ^ Scheurmann, Ines (1985). Natural Aquarium Handbook, The. (trans. for Barron’s Educational Series, Hauppauge, New York: 2000). Munich, Germany: Gräfe & Unzer GmbH. ^ “Modeling the downward transport of 210Pb in mires and repercussions on the deriv”. Bibcode:2013EGUGA..1511054O. ^ MacDonald, Glen M.; Beilman, David W.; Kremenetski, Konstantine V.; Sheng, Yongwei; Smith, Laurence C. & Velichko, Andrei A. (2006). “Rapid early development of circumarctic peatlands and atmospheric CH4 and CO2 variations”. Science. 314 (5797): 285–288. Bibcode:2006Sci…314..285M. doi:10.1126/science.1131722. ^ Mitchell, Carla P. J.; Branfireun, Brian A. & Kolka, Randall K. (2008). “Spatial Characteristics of Net Methylmercury Production Hot Spots in Peatlands” (PDF). Environmental Science and Technology. American Chemical Society. 42 (4): 1010–1016. Bibcode:2008EnST…42.1010M. doi:10.1021/es0704986. Archived (PDF) from the original on 31 October 2008. ^ Michael Kevin Smith. “Meadowview Biological Research Station – Preserving and Restoring Pitcher Plant Bogs”. Retrieved 25 October 2015. ^ “New lily species found in eastern N.C. Sandhills”. Retrieved 25 October 2015. ^ “Asian peat fires add to warming”. BBC News. 2005-09-03. Retrieved 2010-05-22. ^ “Florida Everglades”. U.S. Geological Survey. 15 January 2013. Retrieved 11 June 2013. ^ Fenton, Nicole; Lecomte, Nicolas; Légaré, Sonia & Bergeron, Yves (2005). “Paludification in black spruce (Picea mariana) forests of eastern Canada: Potential factors and management implications”. Forest Ecology and Management. 213 (1–3): 151–159. doi:10.1016/j.foreco.2005.03.017. ^ “Fog from peat fires blankets Moscow amid heat wave”. BBC. 26 July 2010. ^ “Russia begins to localize fires, others rage”. Associated Press. 30 July 2010.